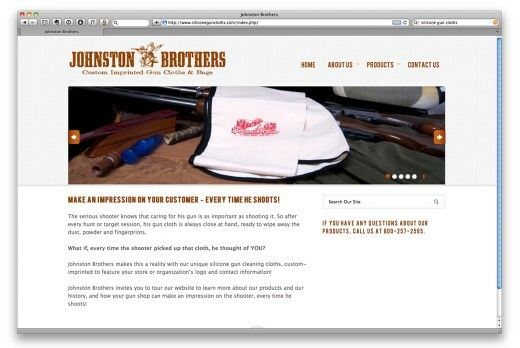 Website for Johnston Brothers, a company that makes custom imprinted gun care products for gun shops, sporting goods and other retail stores. We also designed their logo, printed business stationery and created product photography for the site as well. © Copyright Studio Seven Designworks, Inc.